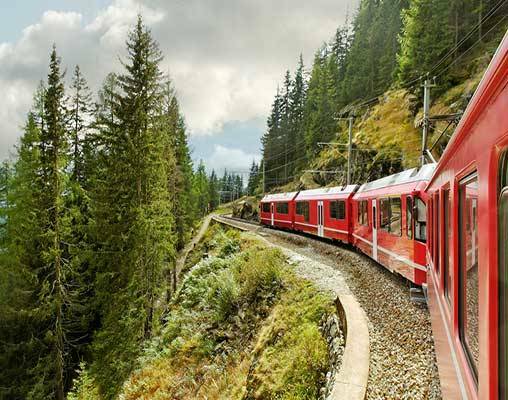 Exciting rail journeys, enchanting cities, amazing excursions and first-class accommodations: What a way to experience Switzerland! 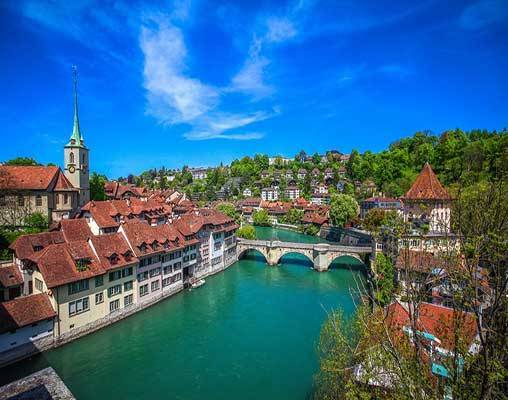 Over the course of eight days, you will make your way from Zurich in northern Switzerland, through Sils-Maria and Zermatt and finally to the capital city of Bern. In-between destinations, you will enjoy first-class rail transfers, transporting you through the country in comfort and style and allowing you to view the scenic countryside, forests, lakes, and small villages and towns. Each locale on this tour brings luxury hotel accommodations, exciting excursions, and delicious, authentic Swiss meals. 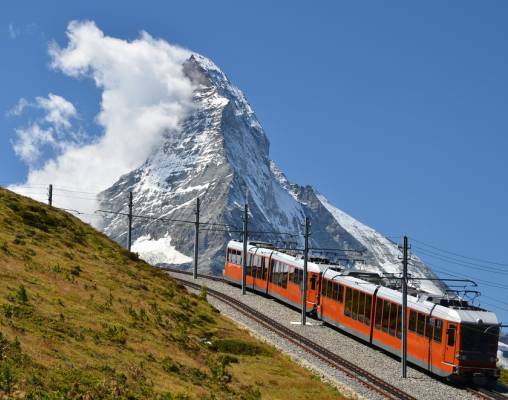 From a horse-drawn carriage ride through Sils-Maria to a ride aboard the Gornergrat Railway, the adventures on this tour are numerous and diverse. 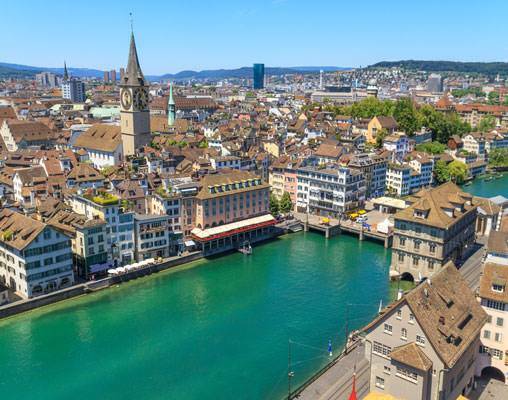 Make your way to Zurich, Switzerland using your preferred airline for the overnight flight (flights not included in tour cost). Your international flight lands in Zurich today. A private driver will be at the airport awaiting your arrival, and he will transfer you from Zurich Airport to Hotel Storchen. This hotel has not only been chosen for its high-end offerings, but also for its close proximity to everything Zurich has to offer. Upon checking in, you will have the remainder of the day to see the city however you wish. Overnight Zurich. Hotel accommodations include the Hotel Storchen, Zurich, Hotel Waldhaus Sils, Sils-Maria, Hotel Zermatterhof, Zermatt, and Hotel Bellevue Palace, Bern. Rail between cities is in First Class. This train winds its way through the Swiss Alps, traveling through 91 tunnels, and crossing 291 bridges. Relax and enjoy the view through the panoramic windows at your seat or take in a drink at the bar. 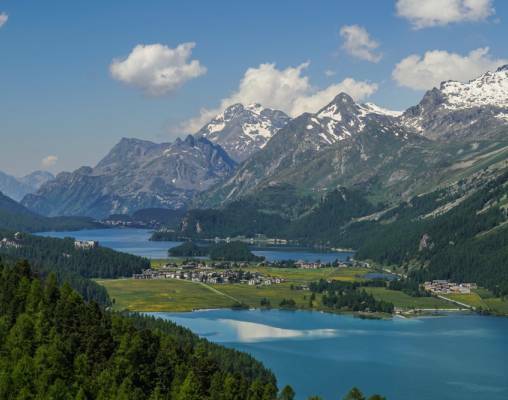 This express route takes you on the journey from Zermatt to St. Moritz in eight hours and explores distinct types of scenery. You'll have views of snow-capped mountains, canyons, narrow valleys, and rushing waters. Excellence Class is the Glacier Express’s newest class of service and this luxurious experience is available on the train’s full route between the resort towns of Zermatt and St. Moritz. Guests in Excellence Class enjoy comfortable lounge seating beside large panoramic windows, exclusive access to the Glacier Bar, and a first-class dining experience during the entirety of the journey, including an elegant five-course meal featuring seasonal cuisine paired with wine. Ask your rail specialist for more details on this spectacular upgrade. 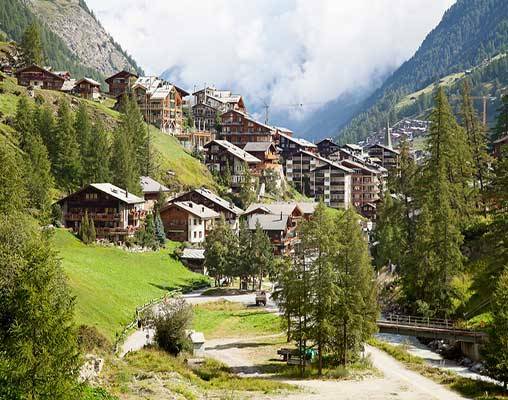 Enter your details below if you would like to be notified when 2020 dates and prices are available for Bountiful Nature & Glamorous Swiss Cities by Rail. Prices are correct at the time of publication, however are subject to change at time of booking. Hotel and Rail accommodations listed above, are subject to change based on availability at the time of booking. Prices are land-only, per person based on double occupancy. Pricing is in USD based on currency exchange from CHF on 6/1/18.